“We noticed that many users of our referrals service would actually make great volunteers and could themselves benefit from the rewards that volunteering had to offer. They just had barriers which prevented them from participating fully. 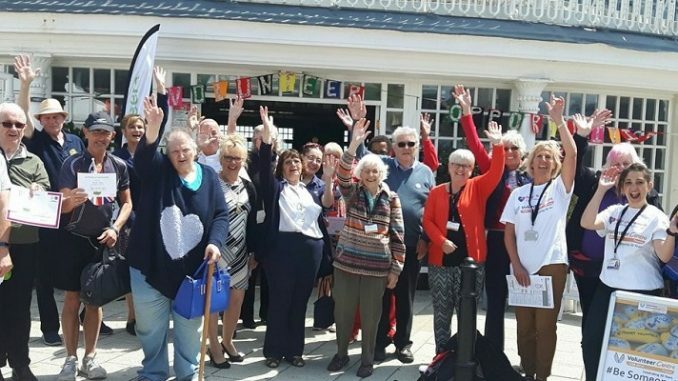 “The money will help us trial new ways of enabling those who get in touch with us for support, to get involved in the rich variety of volunteer-run community projects in Thanet”. The aim of the fund was to develop good practice approaches that will help to promote and sustain the efforts of people over-50 who might face challenges to being involved in formal volunteering roles or who help their friends and neighbours in other ways which may not be recognised. Find out more by calling Kent Coast Volunteering on 01843 609337 or visiting www.kcv.org.uk. Very timely since the local bus services have been cut as from April 7th making it difficult for many to get out and about.